Light Gun Shooters: A lament for the games that time forgot. I can’t actually remember my first real experience with a Light Gun game. I had played with water pistols, rubber-band guns, cap guns, and a toy DL-44 Heavy Blaster, you know, the one that Han Solo uses. In case you weren’t aware, I’m nerding out right now. As I was saying, I can’t actually remember my first experience with a Light Gun, but I know it was while playing the game Virtua Cop on the Sega Saturn somewhere around ’95 or ’96. I would have been about seven. 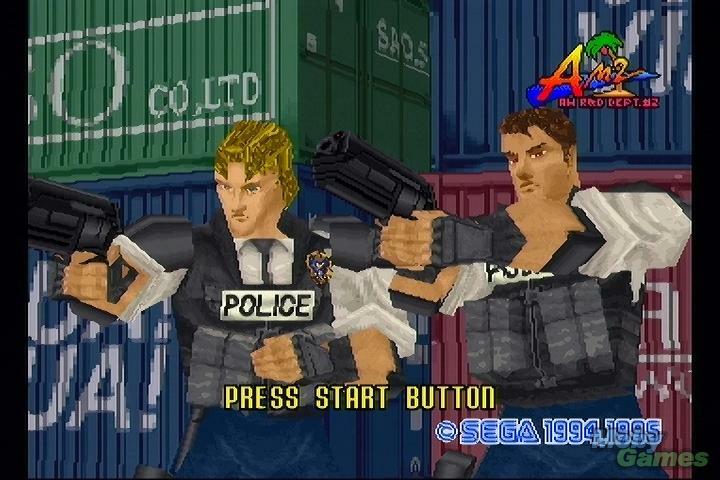 A screenshot from the Sega Saturn title “Virtua Cop,” 1995. 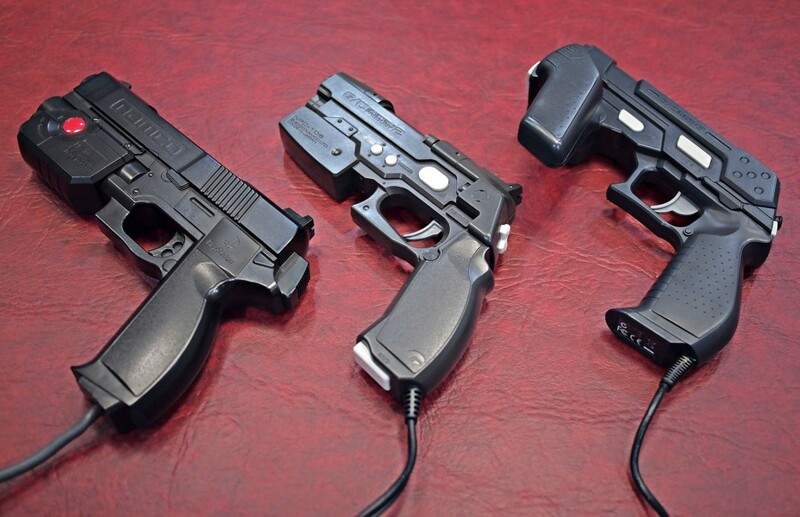 A Light Gun, is a pistol-shaped controller used to shoot targets in a video game. Basically a digital shooting gallery. You would have seen the rows of Time Crisis machines at the arcade, next to the pants-wettingly frightening House of the Dead booth. Or you may have seen the Big Buck Hunter game, next to the cigarette vending machine at any bar or pub. It’s there to chew your money when you’re drunk and don’t have anyone willing to play another round of pool by the way. The range of “Guncon” controllers used on the Sony PlayStation systems. Now, letting a child play a game where he not only uses a gun to virtually shoot people, but gets points for doing so, may seem like bad parenting but I assure you it isn’t. I’m fine. 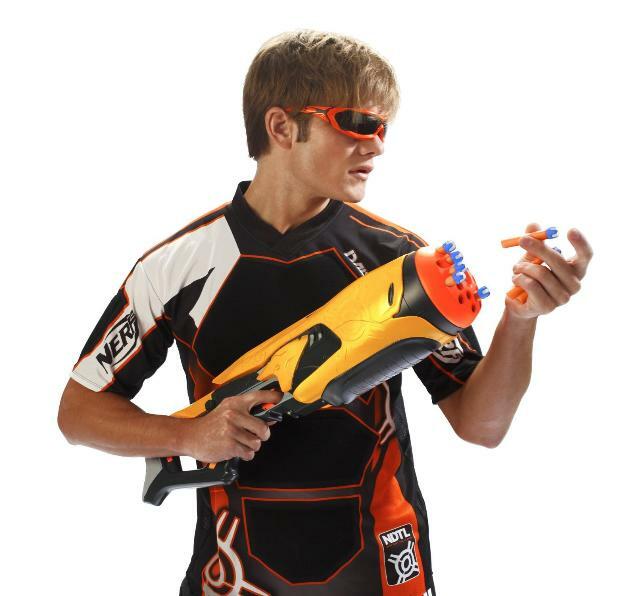 I don’t own a gun, I still look fondly at the Nerf pistols when my girlfriend and I stroll past a toy store but that’s neither here nor there. They advertise them to adults anyway! Heard of office warfare? The point is, I LOVED Light-Gun games as a child, teen, and adult. For lack of a better expression, shooting things “defined my childhood.” Or, more specifically, shooting things in a video game with a realistic controller defined my expectations, and my definition of virtual reality. Come on, that dude is like forty! Thirty tops. However the rise of the flat screen television slowly but surely strangled the life out of the Light Gun peripheral. See, the technology behind Light Guns relied on the technology behind CRT televisions, those big box sets that we all hated. We had a few kicks of life from the Wii and its motion controls, and there was even a spark of false hope in the PS3 and their Move peripherals (which I own, sadly.) However, it appears that the time of the Light Gun is over. 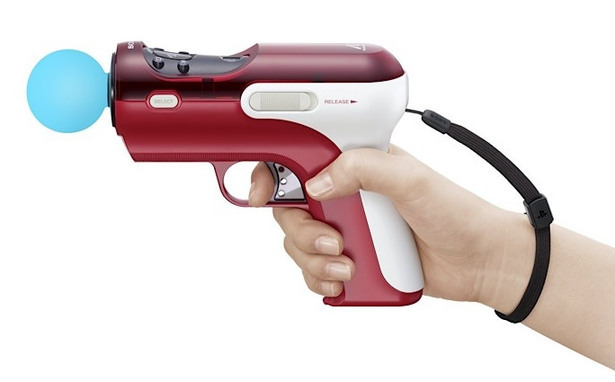 The PS3 Move gun peripheral. It doesn’t even look cool! I can’t comment on the effect that toy guns and simulated violence have on children, but I sort of see Light Guns, or at least my experience with them, the same as using a steering wheel controller to play a racing game. All I know is that I miss a good Light Gun game. Where can I look for that cheap, immersive, virtual reality experience in the future? Well, the Oculus Rift and the Omni Treadmill might be a good place to start.